Martial arts in Tasmania and Australia have lost a true karate pioneer. 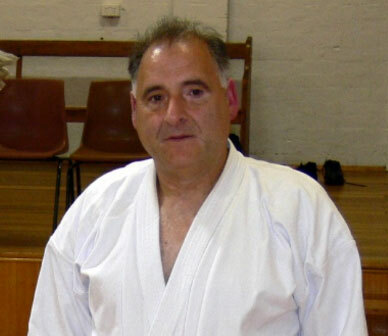 Sensei Steve Xepapas was a founding member of the Australian Karate Federation Tasmania in 1992 and supported the ongoing development of karate until his passing in January 2014.
coach. Long time member of Zanshin Shotokan and founder of Tora Shotokan Karate Do Sensei Steve, his instructors and students have made a significant contribution to the growth in popularity of karate in Tasmania. Sensei Steve was much loved by his karate “family” which was extensive with clubs in Tasmania, the mainland and Norfolk Island. He will be sadly missed but fondly remembered. Sensei Steve was my sensei and I will miss his good natured advice and infectious and inspiring passion for karate do. On behalf of the Australian Karate Federation Tasmania I offer our sincere condolences to all of his family and to the wider karate family of Tora Shotokan.